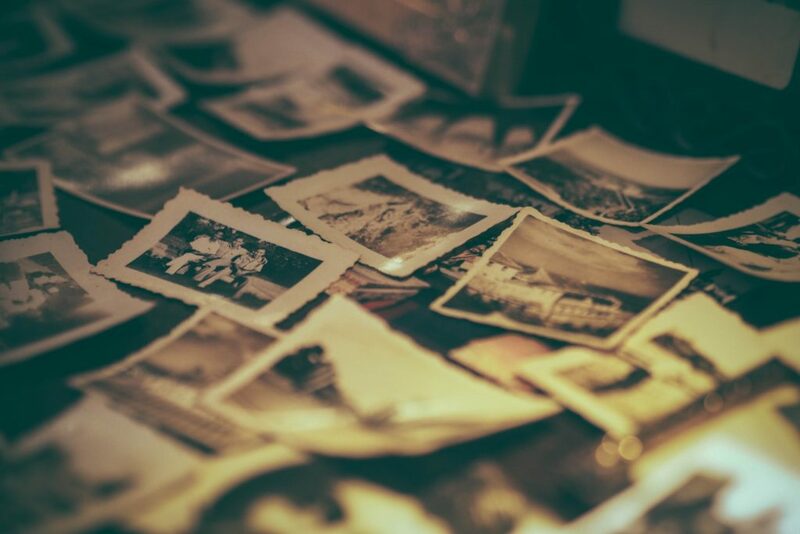 Before your memories fade, consider gathering your pictures into a unique book where they will last for generations. Not only will they last, but they will also tell a creative story in more than photos. Scrapbooking relays the story of your life in pictures, but there are also great ways to embellish the photos with art and scrapbooking supplies to help the pictures pop off the page. Invest in a good quality stamp kit. Choose one that has stamps for every holiday and season. You will want to purchase ink pads separately, so you get the colors you really like. Stamps on the pages of your scrapbook are easy and add a fun dimension to what is in the picture. Fishing trips, the first day of school, home from the hospital, each of these deserve their own page in a scrapbook, and having the perfect stamp to go on the page is priceless. Even if you don’t paint, using watercolors to highlight a photo or paint a few stripes, zigzags, and/or spots on the side of the page, will help to make the photo come alive. Look in your sewing stash for different colors, textures, and lengths of ribbon. You can create a background of different ribbons, you can braid them or overlap the ribbon for a variety of effects. Create flowers out of ribbon, although they should be small to be able to close the book or you can decorate the outside of the scrapbook with small clusters of ribbon flowers. Look around your home for things with patterns. The kitchen probably has several different items that contain repeating patterns that can be duplicated on the page. Take a strainer and enlarge the pattern of holes so you can place several different pictures in them. Some patterns make sense, while others seem to have no rhythm or reason. These are the best kind to put photos in. Use different colors of glue in your glue gun or bottle. There are many colors available in glue and they don’t have to be regulated to the back of a photo. Create swirls and other designs with glitter and colorful glues. Again, look around your home for different shapes you can outline on the paper and then put a photo inside. Use the standard circle, square, triangle, but find a Hexagon, Trapezoid, a Rhombus (a diamond) and anything that would highlight a picture well on the page. No need to spend lots of money on fancy paper. Use the fancy paper for the fancy photos, but use everyday household items for your backgrounds. Use a bunch of recipe cards from a family book to make a background for a photo of the kids making cookies. Use a newspaper as the background for the day someone was born or passed away. Use an old map as your travel pages and outline in a bright color the path you took to get to your destination. Old takeout menus are another great background for travel pages or cooking pages. You probably have a drawer full of small scraps of different fabric. Take them out and match them to different photos. The fabric doesn’t have to match the picture, and it doesn’t have to be big or smooth. The fabric will give your page texture. Have a page or two of black and white photos and designs. Use a black and white checkered pattern behind a photo of your dog in a field or kids playing board games. There are so many options when it comes to black and white, where less is always more. Use pockets or envelopes to keep small mementoes inside. Baby’s first missing tooth or haircut. These are things that are important and shouldn’t be lost in a drawer. Use clear plastic to create the envelope so the item becomes part of the page. When someone takes the time to pick or send you flowers, you want to save one or two as a lasting memory. Press flowers in larger books for a few days before adding them to scrapbook pages. You could also place a flower inside a clear pocket so it will not get damaged. Sew directly on the paper. You may have to purchase a thicker card stock paper but treat it like an embroidery project and outline whatever design you can come up with. Use thread, yard or funky shoelaces. Use an old coloring book with different animals or items as a template for sewing on the page. Use old books and puzzle books to create a unique background for different pictures. Break out an old puzzle or pick one up at the thrift store. There are bound to be so many different shapes that can be traced on the paper and then cut small photos to put in them. You can also glue pictures directly to several connected puzzle pieces, then slice them apart and glue them into the book, either as one piece or with some distance between the pieces. When creating a page about your dog or cat, take a non-toxic ink pad and press their paw on it. Immediately place the paw on the paper for a lasting memory next to a photo of the animal having fun. The same can be done with hand and foot prints of babies and children. Be sure to use non-toxic ink and paints. Many websites, like Pinterest, will give you more idea on what to use when creating a beautiful and unique scrapbook. Memories in a scrapbook are great gifts for your entire family. They also make wonderful wedding presents as you can chronicle the evolution of the happy couple’s journey to each other at the end of the isle.